Have Your Prepared Easter Presents for Your Friends and Family Yet? March 19, 2018 by Kevin. One of the important days of the year and also the oldest Christmas holiday celebrated for the resurrection of Christ is around the corner. Commercializing day by day in terms of seasonal clothing, accessories, and jewelry, Easter has gathered around 57 million celebrators all over the world. One of the most adored holidays which is followed by a holy week falls on the 1st of April this year. Being a religious holiday Easter does draw some of its customs from pagan traditions like the Easter eggs which symbolizes a new life and has been associated with pagan celebrations of spring. According to Christians, Easter eggs signify the resurrection of Jesus and his emergence from the tomb. Decoration of eggs for Easter has its roots in the 13th century and it describes the forbidden nature of eggs during the Lenten season because of which people painted and decorated the eggs to indicate the end of the period of penance and fasting, and then eating them on Easter as a celebration. An annual event started in 1878, known as Easter Egg Roll, is held at the White House on the next day of Easter in which children push the decorated and hard-boiled eggs across the lawn. Some people believe that egg rolling symbolizes blocking Jesus’ tomb being rolled away due to his resurrection. Easter bunny’s origin is mysterious as it is defined by many theories; one relates it from the pagan tradition’s symbol of rabbit stems. The rabbits are known for their energetic breeding which symbolizes fertility. According to a different theory, Easter bunny arrived with German immigrants to America in the 1700s who then settled in Pennsylvania and conveyed their ritual of an egg-laying hare “Osterhase”. Its nest was made by their children in whit this creature laid eggs. As the custom expanded rabbit’s Easter morning deliveries included chocolates, candies and gifts and the decorated baskets took place of the nests. Though the bible doesn’t mention this long-eared, short-tailed creature still it has managed to become one of the prominent symbols of Easter. Mounted Up Your Candies, Jelly Beans and Marshmallows Yet? Don’t be late to gather your candies, jelly beans and marshmallows coz they don’t remain in the outlets for a long time; cheers to Americans who consume more than 700 million marshmallows peeps and 16 million jelly beans during Easter. An estimate of $14.7 billion is spent on Easter in the US. Also, it’s a great gift idea. Confused About the Gifts? Don’t Worry! 3D Innovation Will Craft Them for You. 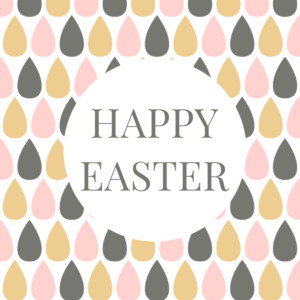 Picking a gift for Easter is a hectic task, but we are sure that you will love what we have for you. 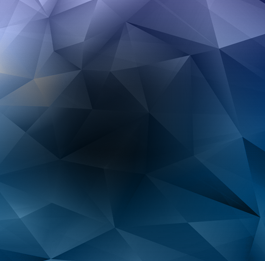 Unique is what you are searching for and there is no better place than this, a personalized 3D crystal that is both cost and time efficient will be cheerful for you and your loved ones. Be it cube, heart, diamond, prestige or serrated crystal, your loved ones will find you in these. No need to worry about the greetings, these crystals will speak for you. Here you can find numerous 3D crystals ranging in different shapes. The max cube is the best photo frame you can invest in and capture your happy moments. 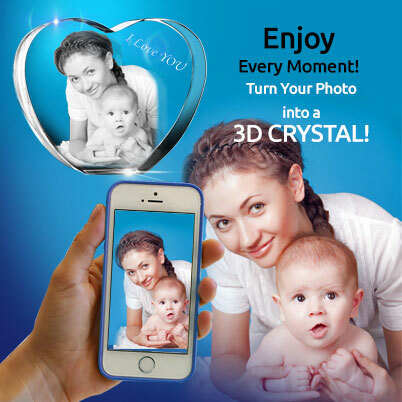 It features a high-resolution photo with an engraving of your wishes in the 3D crystal that would look just perfect on your table and would draw a lot of appreciation too. What’s better than a night light lamp? You can capture your beautiful moments that will personify them each and every time you see it. Don’t worry about the bulbs, these lasers etched 2D night light LEDs will last for over a decade. The presence of our loved ones is all we need. We can attain it through this necklace that would always keep our loved ones near our heart and would create an aura of love around us. It will have an engraved 2D picture of your loved ones in a crystal heart which will exemplify our love towards them. 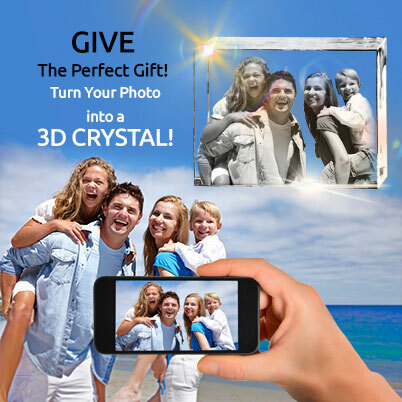 Create some of those everlasting memories this Easter with the help of 3dinnovation.com and cherish them for life! to get our exciting offers & deals straight away to your inbox! Graduation Gift Ideas for Your Loved Ones! Baby Shower Gift Ideas For You To Choose From! ©Copyright 2010-2018 3D innovation. All Rights Reserved. Click here to likeour facebook page and get 10% off! Like us on Facebook and get 10% off your entire purchase.